I spent a lot of money on my trip to the Florida Keys. Parking was possibly the least of my expenses, but in some ways it was the biggest bargain of all. 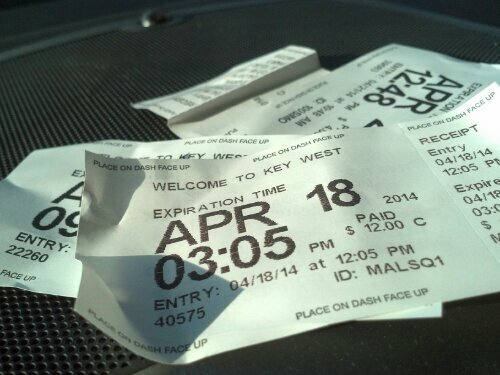 My advice to anyone who reads this is go to Key West, and pay what you have to in order to park your car. The memories that you gain when the car is parked will be more than worth it.